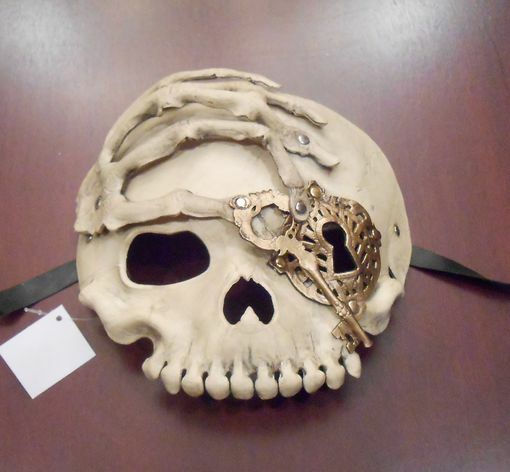 This hand and skull mask has a steam punk style with a key and lock over left eye. Mask comes in copper , antique silver, and bone. Secures with leather ribbon ties. Great for any steam punk or Halloween event.